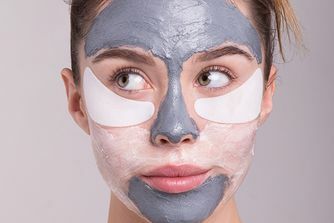 Thanks to its ingenious natural secret ingredient and swiftly visible results, this pretty pink clay mask has taken the Beautysphere by storm – in fact, you might well have seen its incredible effects filling your Newsfeeds. Detoxifying and brightening in only 10 minutes, this miraculous mask is powered by Australian pink clay (and a cocktail of other botanicals) to invigorate dull complexions and instantly boost radiance. You’ve got to see it to believe it – and now you can! Like giving your skin a fresh, natural Australian holiday (in just 10 minutes) Sand&Sky’s Brilliant Skin Purifying Pink Clay Mask utilises natural wonders to instantly detoxify and brighten your skin. The secret ingredient, Australian pink clay, is the real star of the show here – it draws out impurities, toxins and pollutants from the skin unlike anything else, refining pores and deeply cleansing as it goes. To invigorate skin and brighten further, organic liquorice and old man’s weed (another Aussie gem) help to regenerate skin cells and stimulate cell production, gently removing pigmentation clusters from the skin’s surface. To continue this refining action, organic pomegranate and aloe vera tighten pores and soothe, stimulating collagen production for long-term firming. Brilliantly brightening, the pink clay is also complemented by kakadu plum and organic mangosteen to guard against free radical damage and create a defensive shield to deflect harmful pollutants. Impaired by absolutely nothing and suitable even for sensitive skin types – no nasties nor animal testing here! – this luscious, naturally powered clay mask instantly boosts radiance, leaving you with a clearer complexion and an unbelievable, youthful glow. Use 2-3 times a week if you have oily to combination skin, or 1-2 times weekly if you have dry or sensitive skin. Apply evenly to freshly cleansed skin using the applicator brush provided. Give it about 10 minutes to let the mask dry completely. Great products, clears spots within minutes! The best face masque out there, I've gone through at least 6 of these already. I use it once a week to really clear my skin of all the makeup and gunk that's built up over the week and then follow up with a sheet mask. It's also so nice for a face mask to come with a brush so I don't have to dig my fingers in the product. Absolutely in love will repurchase forever! This is honestly the best clay mask I have ever used! It leaves my skin brighter and clearer and is super quick and easy to use. I love that it dries in under 10 minutes and washes off super quickly without having to tug and pull at your skin. It's my absolute favorite. I was skeptic about this product at first, due to the hype and the controversial reviews. It works well. I purchased my first jar in Jan/2019 and it has arrived, it wasn't dried out started to use it immediately. I have got large pores on my T-zone and slight redness. I only use it once per week as my skin is slightly dry anyway. It feels a bit dry after the use of the mask but I usually apply some moisturizer and then it's fine. My skin feels soft, brighter and my pores are seem to be smaller. I have been using it for a month now, but the clay hasn't dried out, it is still creamy and easy to apply...I always close the lid back properly and keeping it in a cool area. The container is bot big but it goes for a long way at least I'm using it only 1 a week. Good product. Been using this mask for a few weeks now 3 times a week and it’s done absolutely nothing for my skin, my pores are still the same and I still have red blemishes all over my face. Not worth the money. I ordered my first jar in November 2018 (from sand&sky's own website) and I still have a lot of it left even though I use it regularly! It has done wonders for my skin and it is easy to use! It leaves the skin really soft. Compared to other more expensive masks, this is really with the price. I've been reading some of the comments saying that it dries out really fast, but I haven't been experiencing that with mine at all. Just about to buy my 4th jar, it keeps my skin clear and bright, it feels so soft after I use this! My favourite face mask. Completely dried up in the tub after a few weeks, would definitely not recommend. Like many others have said, the mask dries out after only a handful of uses. You cannot regenerate with a little water like other masks. This dries rock hard and is completely useless thereafter. The mask itself is underwhelming and the price is grossly inflated given it does bugger all. Doesn't do anything to my skin! And it dries out so quickly!! I used this mask twice and liked it a lot. It does brighten skin and is a good price point. However it literally dried out so fast, within a couple of weeks, the contents had dried up and were unusable. I've tried many clay masks before, some were better and some were worse. This one was just an average mask, but very pricey compared to other masks that gave me even better results. Yes, it did clean my skin a bit, but it didn't make any big difference; it didn't shrink my pores, didn't make my skin less oily, and it didn't help at ALL with my scars. It didn't even help me out with the only 2 pimples that I had. It just cleaned my pores. For such an expensive, tiny product, I'd expect more. I was sceptical of this product as with a lot of things hyped & plugged so much in adverts which pop up on Instagram etc. However having seen it was stocked here by CB I thought maybe it is actually good. I’ve tried loads of masks with great reviews that promise brightening and detox over the years, only to have them either aggravate my sensitive complexion or do absolutely nothing....but after trying this I could see a noticeable instant effect and it didn’t aggravate my skin so I really love it. Exfoliate gently first so the mask can do its work and relax <3 I will definitely re-purchase and recommend! This mask doesn't do anything to my skin. I received mask in a texture you can use the brush to apply it on a face, but after few weeks the mask was drier and thicker and I can not take it on the brush anymore. I was bought this mask for christmas, mainly based on all the hype on my instagram feed I wanted to give it a go. I am in my mid-twenties and occasionally suffer with blemishes but my main issue is dullness and congestion in my pores on my nose. This mask is okay. It feels great going on and does tingle a bit. I do notice my skin looks nice the morning after I use it, but I always break out afterwards. I am sure this is a good thing as it is clearing the pores, but it certainly does not look good! I have been using it once a week for a few months and I would say I have not noticed a change in my skin long term but I do notice a change in the day or so after using. Totally aged me - too drying! I'm in my mid 30s and always keen to try brightening products to keep skin looking young and fresh. 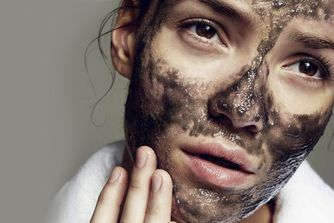 Had tried an amazing mud mask from Iceland which brightened my whole complexion and gave me a youthful glow. I decided to try this one next and it had the opposite effect! Totally dried out my skin and made my wrinkles more noticeable :( Might be good for younger people or more oily skin. I use this mask once every 1-2 weeks since I bought it and it instantly brightens my complexion after use and leaves my skin feeling very silky and smooth. Only thing is it does have a slight sting when applied first but settles immediately after. Could just be my skin though. I mask a lot since my teenage life. I have been trying so many products. Yes of course when I heard about this, I decided to try. I like the package, small and efficient with a lot of product in the jar. It has beautiful colour, smell nice, great texture, and comes with a brush (THE BRUSH IS AMAZING. I ended up using the brush with all my other masks). When I applied, it does feel good too. It gives my skin feeling fresh and clean, just like many other good masks will do. It works, but not that amazing. I expect more of the results (because of the hype on the internet), but the company may be a just crazy marketing genius. I have many another better and more amazing mask. I will finish the jar but will not repurchase. I'm on my third jar of this, I suffer from hormonal cystic acne with dry patches and oily t-zone and I wouldn't be without this product, it keeps my acne at bay (not a total cure but significantly helps) and the texture of my skin has dramatically improved, I saw an instant glow after first use but usage over time is where the real results show! Fab product. I was so sceptical to purchase this mask as it is more on the pricey side and I do have sensitive skin, I had seen so many good reviews so I thought I would finally take the plunge although I do regret it. For me, this mask just does not live up to the hype, it's average. It did nothing at all for my skin, my pores were not any smaller and my skin was still dull. I really am disappointed as I really wanted to love this product but I just couldn't, there are much better masks out there which actually work for this price. When I first received the mask in the mail, the texture was lusciously creamy and perfectly matched with the applicator brush for texture. It minimized my pores after the first use but not by a considerable amount. The only acne I have is closed condones peppered on my forehead and cheeks, but the cream didn’t do anything for them. Two months after opening the container, the max began to take on a heavier almost wax density so that the brush could no longer glide or pick up any of the product; I had to use a spoon or my fingers, which was a bit disappointing considering the short timespan. Loved the brush and will keep it handy for other masks, but this one won’t be one of them. Its okay, I have been using it for a couple of weeks now. My face does look brighter and cleaner but I still have loads of clogged pores. The look of blackheads on my nose is better thankfully, but there are visually still apparent. My skin still breaks out, but old blemished are fading away. This is my first ever mud mask, and when it finishes I will try Vila Mud or Moor Mud. I was expecting more. I just tried it for the first time on my very dry and sensitive skin and it didn't cause a reaction. I was kind of scared it would just after I applied the mask because it hurt! It burned on my skin but in the description, it did say that could happen. It faded pretty quickly, so I wasn't too concerned. My skin did feel soft afterwards and it didn't strip my skin too much. But my pores and little spots don't look smaller and are still there. So for now, 3 stars. I'm hoping that will change when I've used it for a longer time. After seeing the mesmerising videos of this all over Instagram and Facebook, I couldn't wait to try it out for myself and can concur, it is amazing as it looks. In fact, it's the best face mask I've EVER used. I saw results from the first use: my skin was brighter, more radiant, touchably smooth; it reduced inflammation and within 24 hours brought any under-the-skin breakouts to a head... so they can be dealt with accordingly. If you struggle with breakouts, textural issues and dullness, you NEED this in your bathroom cabinet. It's not bad but definitely not worth the hype (at least for me). It smells nice and is easy to wash off but it doesn't really do anything for my skin. My favourite masks (Glamglow, Caudalie, Omorovicza) do a great job at decongesting my skin without excessive drying it. This mask is quite gentle but not particularly effective. The little brush is great though, I'll be keeping it to use with other products. Couldn't help but try this! After not being able to scroll through Facebook without seeing this mask I had to try it. When I saw the price I was amazed - seemed a little expensive. But honestly this is a brilliant clay mask! My pores all but vanished, my skin feels amazingly smooth and not dried out at all. I even made my boyfriend try it as he has much bigger pores than me and his disappeared as well! A little goes a long way and I think it's actually excellent value for the price you're paying. My new favourite product! You have probably seen this mask in a hundred different places all over the internet. It is officially haute!!! While I am not adverse to a messy mask (see Problem Solver and Seamasque) the ease of applying this does make it an easy one to reach for on a whim in the mornings (I am NOT a marning person so everything needs to be quick to allow for longer in bed). The texture is creamy and it brushes on sparingly to get right into the key crevices of your face that most need it. This pink clay mask dries to white in 10 minutes and washes off easily without spraying algae and mud all over your toothbrush. This is designed to work even for sensitive skin, I definitely find a tingle when I first apply (not as bad as the PTR pumpkin mask, but still a little warning), but when I remove there is zero redness. The first 'after' feeling you get is baby’s bum softness and my mature, combination skin is nicely evened out oil-wise. A joy to apply foundation to, this mask leaves a surface that holds make up gorgeously and with longevity. A great bi-weekly tool that’s easy to fit into your routine. I really like this mask! It does something for my skin - it just seems tighter and cleaner and nicer afterwards. It really gives me visibly nicer skin. Another huge plus for this mask is that it washes off easily, it simply melts on the contact with water and I don't have to spend 5 mins scrubbing away at my skin. 5 stars product. This face mask is so beaut! Makes my skin feel so fresh and replenished! Also, pores? I don't know her anymore. Also really helped with the redness on my face and I've only used it twice. I even put it on my mum and she loves it lol. So from a 23 year old and a 54 year old, we highly recommend this mask. I bought this thinking it would do wonders for my skin but I was wrong I’ve been using it for a few weeks now 3 times a week and I have noticed no change in my skin, I still have large pores and red blemishes. Not worth the money. I got this thinking it would work miracles on my skin. I have quite sensitive skin with a lot of pores and blemishes. It made my skin feel nice and soft after use but didn’t do anything to my blemishes or pores. My pot also dried up before I had finished using the product. Will not be buying again. This mask is awful. A very poor to average at best clay mask that does absolutely nothing that it claims to do. The 1 star is for the cute packaging. Received my product and opened to find the mask was completely dried up and the brush couldn’t even pick it up, had to use my fingers to apply and it just rubbed off the skin and didn’t even stay on, so disappointing especially with a price like this! Like most people, I've seen Sand&Sky advertised all over and how amazing it's making their faces. I was excited to try this product, seen the videos of people just brushing this mask onto their skin and looking lovely, Me? Not so much. Product arrived and after opening noticed that seemed quite hard, I've attempted to use the brush but it's that hard nothing is picking up, reduced to using my fingers and getting a very uneven, clumpy coverage. Thoroughly disappointed and waste of money. Not even one successful usage. I am a total face mask junkie and I love trying new stuff every time. So after the hype created by this brand I decided to dive in expecting miraculous results. It absolutely did nothing to my skin. First when I tried it I thought maybe it was too early judge and I will wait to write the review once I finish off the tub - but it was seriously the most overrated disappointing product I have ever bought. It did not make my skin bright or soft, I would rather invest the money in other brands! Best mask I've ever used! I honestly can't rave about this product enough. My combination skin is very erratic, so oily & acne prone yet dry sand and sky have done amazing things. Friends always borrow it when they come over as they're as obsessed with it as I am. No more excess oil, random breakouts and blackheads, this is a serious game changer. I've repurchased many times and can't recommend enough. Literally the best mask and love the brush to apply for ease. More radiant bright complexion. Cannot suggest enough. Bought this a few months back. To my dismay, I found that it dried out badly today. I bought this as an alternative to the Glam Glow Supermud but think this is just an ok product, not a life-changing mask. I did have a reaction to it when I used it too thick. After using it for a few times it went in a drawer for 2 weeks and when I tried to use it again it was all dried out, wasting about half the product. On the plus side, for a mud mask, it is really easy to get off. It’s nice that it comes with a brush but would prefer a slightly cheaper product without the brush. Doesn't do anything to my skin! I'm 26, have combination/oily skin and suffer from blackheads, large pores and hormonal acne. This stuff is amazing! It leaves my skin much brighter, calms and reduces spots and clears congestion. When I don't want to go down the peel-mask route (as they can be quite intense and should be used sparingly), this is my go-to before a big event. Other reviews say this is quite expensive, but I do prefer it to more expensive clay-based masks which I find gentler and less effective. I've never had a bad reaction to this mask and it always delivers! It comes with a brush that is great and now uses for all other masks. Tip: cleanse well first, wet the brush and apply - the product when slightly wet will spread further, last longer and work just as effectively without drying out skin. I wouldn't use this - or any clay mask - if I had dry skin. Try it! I recieved mine a little bit thicker and drier than how it looked on advertisements, the models would take it on their brush and spread it so easily while i had to scoop it out of the jar and put pressure to spread it evenly on my face. It did brighten my skin when i first tried it but i didnt see that much of a difference afterwards. I had really high hopes because I had heard so much about this product but sadly this did nothing for me, quite the opposite. The mask actually tingled so much it hurt and I got an almost burning feeling from it. It was very drying even for the oily parts of my skin. Didn't detoxify my skin or clear my pores whatsoever. Waste of money. Avoid if you have dry skin! Was so excited to try this as heard such good things online and from friends. I have normal to dry skin and this mask dried my skin out so badly I thought I had developed eczema. My skin started flaking around my nose and mouth and for 4 or 5 days after I had used it my skin was tender and dry. Be careful using it if you have dry skin as it is very strong. I was excited to receive this beauty product everyone been going on about especially on Instagram. Wasn't as expected. Does give you clear smooth skin after use but its short lived. As well as the massive hype the pot wasn't as full as shown in the images. Don't be disappointed to open the pot and find it's only 75%full. It's worth a try and sees for your self but tbh there are better masks out there that cost nearly the same. The only good bit about this mask is the brush that comes with it. Other than that the mask did nothing for my skin and dries on the face quicker than the recommended 10 mins so when I remove it my face has had all the moisture sucked out of it. I've also realised all the review videos are by people who already have perfect, blemish-free skin with no pigmentation. My skin is generally normal-oily with a few pink patches and it was left dry after using the mask every time. Don't waste your money - get the LUSH Rosy Cheeks mask instead. Overrated is all I have to say. I hate when companies promote their product as a miracle: "your pores and blackheads will magically disappear", and then I hate myself even more for falling for that gimmick... ugh... It's just an average mask, nothing revolutionary... it didn't shrink my pores, it didn't instantly brighten my skin, and my blackheads are still happily waving at me from my nose. I am using it just to finish the jar and to see if continual use will actually yield some of the results it's promising. I have enough for two more uses, and am yet to see these miracle results. Will not repurchase. I'm sticking to my Pixi Glow Mud Mask. The hype is real brighter complexion noticeable straight away makes you feel confident in your own bare skin. Average clay mask. It claims to instantly brighten but I have yet to see evidence of this and I've almost used up my tub. If you want a mask that actually does instantly brighten and reduce oil/congestion over time I recommend Origins Clear Improvement mask - it's cheaper and actually works. It did tingle a bit however the results were only temporary. It got rid of my pores and blackheads however after a few hours they came back. But it didn't do any damage to my skin. I hardly use face masks, only when I realised when the ones I bought (sheet masks) are expiring soon but I saw this on Instagram and read the online reviews so decided to try it on myself and my husband who's clearly in need of skin detoxing. Btw I have also never used Glamglow so I don't know the difference. I LOVE THIS PINK CLAY MASK! Does what it says, baby soft clean fresh skin after using it for the first time! Will definitely keep using this weekly. Any great facial care products that works are worth the price imo. Not on Facebook so haven’t seen as much of the hype but man is this good. I love how soft my skin feels afterwards, especially after applying a bit of moisturiser. Pores seem smaller/less visible too which is great! I’ll be using this regularly for as long as I can find it for sale. So...I first heard about this mask on Cult Beauty's Instagram story and instantly I knew I had to try it. I must say, this is by far my favourite mask I've ever tried. My acne marks are already fading and calming down, I haven't had a breakout since buying and using this mask, and it definitely changed the look of my blackheads. I did notice, that if left on face for too long, it dried my skin out, but if I washed it off right after everything dried down, my skin was glowy, clean as f*, and SOOOO SMOOTH, I can't even explain it, it's really too good to be true. And I'm a doubter when it comes to "miracle" masks, but this time, I'm really happy that I took a chance. I know it's a lot of money, but I really feel like it's worth every penny. I've used this 5 times now and I LOVE it. Really easy to apply with little brush and takes about 10-15 mins to completely dry. It doesn't dry your skin out like other clay masks do, just leaves skin feeling soft. I've noticed reduced redness and my pores seem tighter/less visible.AND it washes off so easily unlike other masks which take forever. Keeping this in my beauty routine forever now. Thanks Cult Beauty.